We have gained huge expertise in this domain by offering to our customers with a supreme quality gamut of Precision Traub Components that is checked against various parameters. Pushkar Industrial Engineers Pvt. Ltd.
With our in-depth knowledge of this domain, we are actively engaged in offering an excellent quality assortment of Traub Vertical Cam Holder. 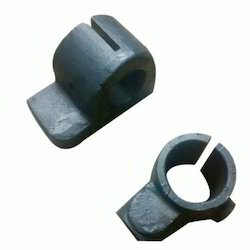 We are leading manufacturer of Traub Turned Component and has been industry from last several years. We have for our clients a comprehensive range of Traub Components, which is designed using quality tested raw material. Available in various specifications, our range finds application in diverse industries, such as engineering and automobile. 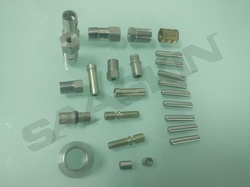 Besides, we can customize our range as per the requirements of our clients from 2mm to 60mm. We are Manufacturing all kind of Traub Components as per customer drawings and requirements.